The MITAC was well represented at the 9th Annual Meeting & Exposition of the American Telemedicine Association in Tampa, Florida, May 2-5, 2004. MITAC had ten representatives attend the meeting, including Dr. Ronald Merrell, Mrs. Debbie Justis, Dr. Stephen Cone, Dr. Lucian Panait, Dr. Vladimir Lavrentyev, Dr. Azhar Rafiq, Mr. Brett Harnett, Mr. Xiaoming Zhao, Mr. Nathaniel Merriam and Mr. Russell Hummel. The activities of MITAC were highlighted in the booth sponsored by NASA Space Partnership Development. Dr. Merrell also served as a panel participant in the 4th Annual Army Telemedicine Partnerships: Meeting Medical Challenges in a Changing World. Several MITAC/VCU alumni, Dr. Timothy Broderick, Dr. Rifat Latifi and Mr. Charles Doarn, made presentations at this TATRC sponsored International Day. Several other presenters, also alumni of MITAC's telemedicine course, are now directing programs in Eastern Europe. The program's focus was on Eastern Europe and how telemedicine and teleconsultation technologies may be relevant to population health and distance learning activities. Dr. Merrell demonstrated the prototype of a digital operating room record to Dr. Gerry Moses of the Department of Defense. This prototype was featured by Dr. Moses in his annual summary of TATRC sponsored achievements to the ATA. MITAC members presented four oral presentations at the scientific meeting of the ATA. Dr. Cone�s presentation, entitled �Acquisition and Evaluation of Radiography Images by Digital Camera�, was presented at the �Remote Ultrasound and Imaging� session. Mrs. Justis�s presentation, entitled <�Palliative Care Telemedicine to Correctional Facilities�, was presented at the �Emerging Clinical Applications� session. Mr. Harnett�s presentation, entitled �Redundant Wireless Communication Technologies for Bioterrorism Surveillance�, was presented at the �Telemedicine in Support of Homeland Security� session. Dr. Panait�s presentation, entitled�Robotic Assistance and Telementoring�, was presented at the �Surgical Training Using Telemedicine� session. Mrs. Justice also gave a presentation in the long course section on "Corrections Telemedicine" entitled "VCUHS and Corrections Telemedicine Program." MITAC members also had several posters highlighting past achievements. These included Teleducation as an Integral Part of Medical Education Curriculum by Dr. Lavrentyev in Distance Learning. The e-Health and Internet Based Applications category included An Online EMR System for International Telemedicine Consultation by Mr. Zhao and Telemedicine Application during a search for Genghis Khan in Mongolia by Dr. Rafiq. Caring for Remote Populations: Evaluation of a Novel Fixed Telemedicine Workstation in Ecuador by Mr. Hummel was presented in the Rural and Extreme Environments category. International Telemedicine was represented by Mr. Merriam�s presentation, Communications and Information Support for the Ambulant Health Worker. 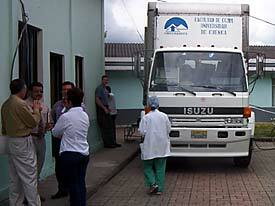 Based upon the indisputable previous successes in the Ecuador test-bed and collaboration with the Cinterandes Foundation, MITAC members returned to Ecuador in April of 2004 for expansion of the mobile surgery program support network. Duplicating the telemedicine system previously placed at the Hospital Pio XII in Suc�a, MITAC supplied the Santa Maria del Fiat Foundation with the technology to participate in pre- and postoperative evaluations of patients for Cinterandes� Mobile Surgery Program. During the two-day surgical trip to the coastal province, the staff of the medical facility at the Foundation was trained in the use of the telemedicine unit and demonstrated proficiency in its use. This was further verified through the use of the telemedicine unit to provide Cinterandes with their standard postoperative evaluations in the following days. As stated, this excursion included two days of surgery, both in the mobile unit of the Cinterandes Foundation and in the local hospital, totaling 32 procedures. 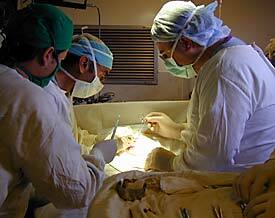 Of these, seven were laparoscopic cholecystectomies performed in the mobile unit. In order to evaluate the use of electronic operative records utilizing multimedia, these procedures were captured to video from different camera angles, providing coverage of all activities in the OR. On egress from Ecuador, Dr. Merrell visited with several hospitals in the Quito area. These hospitals serve as some of the major referring centers within the Ministry of Health, providing care for the public. These hospitals expressed great interest in the previous work of MITAC in Ecuador and in inclusion in future directions for the telemedicine work within this test-bed. MITAC conducted peer-reviewed research aboard NASA�s KC-135 �parabolic flight laboratory�. The MITAC team includes technical support staff as well as Dr. Timothy Broderick-- the Principal Investigator of this research. In late June 2003, a group of twenty individuals visited NASA Lyndon B. Johnson Space Center to evaluate the effectiveness of surgical simulation as a means to train astronauts for surgery in microgravity. The research, entitled �Computer-Based Virtual Reality Surgical Simulation in Microgravity�, was conducted on NASA�s KC-135 airplane. The KC-135 used as parabolic flight creates brief intervals of microgravity during which the team could evaluate the effects of microgravity on surgical training. The study compared performance of basic surgical skills on a commercially available computer-based surgical simulator called the LapSim to performance of these same skills on an inanimate surgical simulator. These experiments were the first to use a VR surgical simulator that had been specially programmed to simulate surgery in weightlessness. Surgical skills were evaluated in categories of participants that included astronauts, flight surgeons, physicians, surgeons and technical support staff. The participants were evaluated on the KC-135 after completing training on the ground over the preceding six days. All participants successfully performed the required tasks and the collected data will help determine the optimal surgical training method for long during space flight. A follow-up study to evaluate a VR simulator that incorporates haptics � the sense of touch � is planned for next year. Mr. Doarn attended the 74th Annual Scientific Meeting of the Aerospace Medical Association in San Antonio, TX. This year marks the one hundredth anniversary of powered flight with the Wright Brothers flight at Kitty Hawk, NC in 1903. It also marks one hundred years of aerospace medicine. Telemedicine has played a key role in aerospace medicine during many of these 100 years. Mr. Doarn presented an oral presentation entitled �Telemedicine: Impact of Space Exploration� at this meeting. He also served as the session chair on Space Medical Support. In May 2003, Dr. Ronald Merrell traveled to Russia and visited the Russian Scientific Center of Surgery (RSCS) in Moscow. RSCS is a clinical training facility for students from Moscow Medical Academy (MMA). MITAC is collaborating with RSCS in a mutually beneficial arena of telemedicine and distance education. Dr. Evgeniy Flerov, the Director of Telemedicine Center at RSCS, hosted Dr. Merrell where he showcased the RSCS facilities. In addition, Dr. Merrell met with Dr. Grachov, Vice Dean of MMA to discuss the establishment of collaboration in telemedicine and distance learning between the two academic sites, VCU and MMA. During this trip, Dr. Merrell also visited Kazan State Medical Academy (KSMA) in Kazan, the capitol of Tartarstan. Dr. Merrell was invited to give a lecture at KSMA and to discuss possible mechanisms for future collaboration in telemedicine and distance education efforts between MITAC and KSMA. Dr. Merrell and Dr. Faizullin, Vice Dean of KSMA signed a Memorandum of Understanding between MITAC and KSMA. The MITAC and the Telemedicine and Advanced Technology Research Center (TATRC), which is the US Army�s center for telemedicine research and development, have signed a Memorandum of Agreement to pursue common area of mutual interest in telemedicine. The MOA marks a new chapter in collaboration. It provides a foundation with which to share ideas and lessons learned. During the course of the next several years, MITAC will work with TATRC in several areas. These include international telemedicine and Operating Room of the Future. MITAC�s Executive Director, Charles Doarn was elected to a second term as the ATA�s Secretary. Mr. Doarn will serve on the ATA executive board as Secretary through the ATA�s annual meeting in May of 2004. The Department of Defense�s Telemedicine and Advanced Technology Research Center (TATRC) invited Dr. Merrell and Dr. Rodas to participate as presenters at the TATRC-sponsored �Partnering to Enable Technology: Meeting Medical Challenges in a Changing World� session on April 26, 2003. The entire meeting was focused on telemedicine implementation in South America. Dr. Merrell presented �Telemedicine Support for Remote Fixed Facilities� and Dr. Rodas presented �Telemedicine for Mobile Surgery�. Both presentations were well received. Comments about the importance and benefit of the MITAC work in Ecuador were highlighted in both panel discussions and closing remarks by several panel members. Prior to the start of the ATA, TATRC asked MITAC to begin to explore collaborations in the area of telesurgery and simulations with discipline experts at Walter Reed Army Medical Center (WRAMC). This collaboration was formally initiated at the ATA through co-hosting an exhibit booth within TATRC�s large exhibit. The MITAC presented a looping presentation on Telecollaboration in Surgery: Education and Practice. In addition, MITAC held a live surgery demonstration. Dr. Merrell was conducting a surgical procedure at MCV Hospital in Richmond, VA. A live video and audio feed over Internet Protocol (IP) was transmitted to the exhibition hall in Orlando, FL. During the entire procedure Dr. Merrell interacted with an assembled group of surgeons from WRAMC, lead by Col Michael Marohn. Attendees could also observe, first hand, a laparoscopic cholecystectomy. The use of the IP approach demonstrated the efficiency of how telesurgery could be conducted over a shared network, where scarce resources were managed effectively. There was tremendous interaction and collegiality between Dr. Merrell and effectively students at the TATRC booth in Orlando. Mr. Doarn participated in an international meeting sponsored by the TATRC. This venue provided an opportunity for broad discussion on the creation of an international Special Interest Group (SIG) within the ATA. Mr. Doarn will serve as the interim Chair of this SIG. 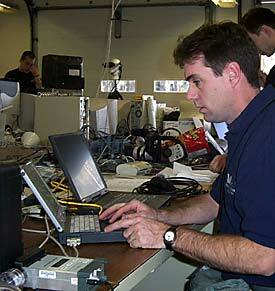 MITAC personnel participated in various activities during VCU�s Emerging Technologies Day, April 24, 2003. Mr. Charles Doarn, MITAC executive director, moderated a presentation on technology used in surgery. This presentation included three sites on VCU�s Medical College of Virginia campus linked to the auditorium through VCU�s LAN. The conferencing units used 768Kbps of bandwidth, which provided an excellent link for the audience to interact with Dr. Timothy Broderick, who was located in one of the main operating rooms in the VCU Health System. Dr. Broderick discussed with the audience the surgical procedure he was conducting. The other two sites included the surgery laboratory, where Dr. Lucian Panait demonstrated the utility of Computer Motion�s Zeus robot and the MITAC laboratory, where Dr. Azhar Rafiq demonstrated the LapSim surgical simulator. In the afternoon, Mr. Brett Harnett presented a summary of two MITAC projects, LionHeart and ShadowBowl. A poster presenting the VCU Health System telemedicine activity was also on display. Ms. Debbie Justis, clinical coordinator of telemedicine for the VCU Health System, was available for questions and answers. April 21, 2003, marked the mid-year board meeting of the MITAC. The meeting provided an opportunity for MITAC management to convey to the Board its progress on meeting the current year�s goals and objectives through its multifaceted activities. MITAC senior management provided a review of the 2002 annual report, the current year�s annual operating plan, and how MITAC is meeting this plan. MITAC staff provided additional presentations on MITAC projects. These projects included Shadow Bowl, Lionheart, and the peer-reviewed NASA research on Virtual Reality Surgical Simulation in Microgravity. The board, which is comprised of extramural participants from industry, academia, and government, provided valuable advice to MITAC at this mid year time. A summary report will be made available in the coming weeks. MITAC and the Department of Defense�s Telemedicine and Advanced Technology Research Center (TATRC) have developed several areas of collaboration. Recently TATRC Senior Scientist, Jean-Louis Belard, MD visited MITAC with two distinguished surgeons from Holy Family Hospital in Rawalpindi, Pakistan. These two surgeons, Dr. M. Faisal Murad and Dr. Syed Salman Naeem Gilahi, participated in MITAC�s abridged Principles of Telemedicine course. In addition, these gentlemen provided an overview of telemedicine in Pakistan. 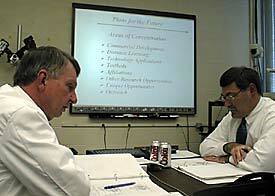 During the two-day visit, April 17-18, 2003, discussions were held on telemedicine concepts, tools and lessons learned. MITAC sponsored a return trip to Ecuador in April of 2003 consisting of Drs. Michel Aboutanos and Stephen Cone. Dr. Aboutanos, a specialist in trauma surgery and a member of VCU�s Division of General/Trauma Surgery, directed this excursion as a means to evaluate the need for improvements in the care of trauma patients within the Morona Santiago province of Ecuador. This traced the typical route of patients from local �Subcentros de Salud� to �Hospitales Provinciales� and regional referral hospitals, as well as collecting local statistics regarding injuries and aeromedical transport. Our hope through this effort is to provide suggestions to improve the care of the trauma patients through instruction for the primary care providers. MITAC is co-sponsoring the 2003 Capitol Hill Telehealth & Healthcare Informatics Series. This is the 10th Anniversary Series of educational sessions on behalf of the Steering Committee on Telehealth and Healthcare Informatics. This effort, coordinated by Health Tech Strategies of McLean, VA, provides an opportunity for discipline experts in telemedicine and telehealth to provided a status on programs and leading edge technologies to key decision makers on Capitol Hill. During 2003, a series of speakers representing a plethora of areas in telemedicine and telehealth will participate in sessions from March through October. These sessions are held during the lunchtime to accommodate many individual schedules. The majority will be held in the Dirksen Senate Office Building or in the U.S. Capitol Building. As a co-sponsor, MITAC will have the opportunity to participate as both speaker and attendee. MITAC will receive a final report from Health Tech Strategies at the conclusion of this series. 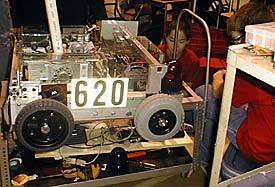 MITAC served as a co-sponsor in the NASA/VCU FIRST Robotics Competition, March 6-8, 2003. MITAC Director, Ronald C. Merrell, M.D. served as a judge. MITAC's Brett Harnett worked the floor of the event, providing technical support as necessary and appropriate. FIRST has developed a national robotics competition that provides high school aged boys and girls an opportunity to express their interest and skills in science and technology. Such events are of critical importance as they serve as a forum for young adults to observe first hand the challenges of science and engineering and more importantly the unlimited possibilities. MITAC is very much involved in education and sharing knowledge. Dr. Timothy J. Broderick, general surgeon and consultant to MITAC in telesurgery and robotics recently was awarded a NASA research grant. The research, entitled �Computer-based Virtual Reality Simulation in Microgravity�, will be supported by the MITAC. This research will evaluate the effectiveness of virtual reality training as a method to teach astronauts to perform surgery in space. The research will be conducted on the ground and on NASA�s KC-135 airplane, based at Ellington Field near the Johnson Space Center in Houston, TX. This facility provides short periods of microgravity � approximately 25-30 seconds - during parabolic flight. During both ground-based evaluations and KC-135 flights, basic surgical skills of 20 participants will be evaluated using a state-of-the-art, commercially available computer-based surgical simulator called the LapSim (Surgical Science, Goteborg, Sweden) and an inanimate surgical environment. These experiments are the first to evaluate a microgravity surgical simulator that has been specifically programmed to simulate surgery in weightlessness. Mr. Flamur Bekteshi, Associate Technical Director at the Telemedicine Center of Kosova in Prishtina attended a month long telemedicine training course at the MITAC. Mr. Bekteshi worked closely with the MITAC staff, serving as student, trainee, and expert technician. Mr. Bekteshi returns to Kosova equipped with a solid knowledge base that will help him provide training in the area of telemedicine for those individuals of Kosova who have an interest in telemedicine. 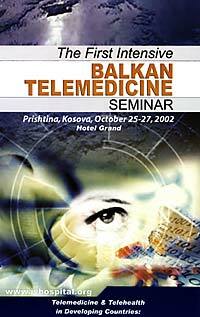 The Telemedicine Center of Kosova was recently opened at the medical school in Prishtina (October 2002). MITAC played a key, strategic role in helping found the Kosova Foundation for Medical Development and the new Center. The MITAC provided valuable insight in the creation of a telemedicine capability in Kosova. Shadow Bowl was a situational awareness exercise for dealing with potential mass casualty events. MITAC and a select group of research institutions were invited to San Diego to demonstrate their baseline technical capabilities "live" at Super Bowl XXXVII. Under the direction of Brett Harnett, MITAC made modifications to an existing physiologic monitoring system so it could measure the particulate mass of ambient air that might indicate presence of pathogens. By working with REDD/MMAD, a sensor development company at the Virginia Biotechnology Research Park, the system was modified and successfully demonstrated. The result was a portable, battery-operated device capable of collecting real-time particulate measurements, logging them locally and transmitting the encrypted data over the Internet using standard digital cellular to a web server at VCU. This graphed data was available to the command center at San Diego State University and anyone on the World Wide Web. But what is most interesting in the system is the communication link redundancy. In the event of an emergency such as in New York City on September 11th, the cellular services will likely become overburdened and fail. For this reason, a redundant, inexpensive topology was engineered into the unit - Iridium, the Low Earth Orbiting Satellite (LEOS) system. The plan was to simulate the cellular network "going down" and route the data to Iridium. Ironically, the team was unable to transmit data at game time presumably due to the large increase of voice traffic from the fans in Qualcomm Stadium. The air quality readings from the experimental sensor were then sent successfully via Iridium. MITAC representatives, Mr. Charles Doarn, Dr. Azhar Rafiq, and Ms. Debbie Justis attended the 4th Annual Strategic Business Opportunities, hosted by the American Telemedicine Association (ATA). The event was held December 9-10, 2002 at the Georgetown Conference Center at Georgetown University. The two day meeting included the Advance Briefing for Industry: Business Opportunities with DOD and Other Federal Agencies and the ATA's Industry Advisory Board Business Forum and Policy Briefing: Key Issues Impacting the Telemedicine Industry. This forum provided a unique opportunity for MITAC to garner knowledge and information about the telemedicine marketplace and interact with several telemedicine industry leaders. Discussions were centered around how MITAC and these telemedicine leaders might develop affiliations. 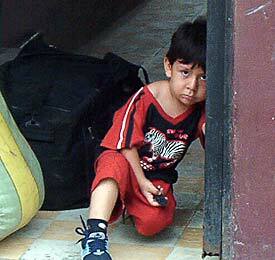 December 2002 saw a return to Ecuador for continued surgical and telemedicine work. The trip provided the opportunity for further validation of teleanesthesia by Drs. Merrell, Cone and Russ Hummel during four cholecystectomies performed in the Cinterandes Foundation Mobile Surgical Facility. Dr. Lynne Gehr monitored from the MITAC laboratories in Richmond, and was duly impressed with the clarity and data transmission. Dr Michael Kleeman of the Division of Urology of VCU's Department of Surgery, accompanied the team to explore the possibilities of transmission of live video feed of open urologic procedures. This monitoring was also a continued field test of the TeleVital software as part of a telemedicine infrastructure. In efforts to further the exposure of our projects in Ecuador, Dr. Merrell met with members of the government, press and medical communities. In a morning lecture, Dr. Merrell explained the growing role of telemedicine, with special emphasis on the test-bed operating in Ecuador. In the evening, Dr. Merrell presented the Morona-Santiago province with an overview of the management of trauma as precursor to a course specially designed for the region. Local officials presented Dr. Merrell with a commendation noting his continued efforts to improve healthcare measures for the Clinic Luxemburgo and the indigenous peoples of the Morona-Santiago province of Ecuador. Mr. Charles Doarn was invited by the Director of the Office for the Advancement of Telehealth to brief the Federal Joint Working Group on Telemedicine on MITAC's activities. Mr. Doarn provided a overview of the many challenges of providing telemedicine support in extreme and austere environments with a focus on MITAC. On November 19, 2002, the VCUHS Telemedicine Center located in the Gateway Building on the campus of the Medical College of Virginia held an open house. This open house provided the VCUHS and surrounding community an opportunity to visit with staff and see first hand the capabilities of the Telemedicine Center. The open house was co-sponsored by the VCUHS, the Department of Surgery, and the MITAC. There was a steady stream of visitors to the center. Mrs. Justis demonstrated the capabilities of the center. 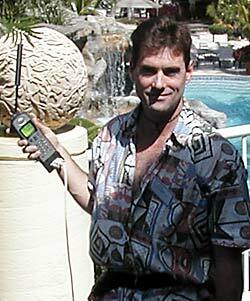 Brett Harnett represented the MITAC at the Caribbean Telemedicine Association (CARTMA) meeting November 17-19, 2002. The goal of CARTMA is to support efforts to improve the medical care for all persons in the Caribbean region via use of telemedicine. This is highly critical in the Caribbean where transport times and distances to a high level medical center are large. CARTMA will identify medical needs, identify groups willing to fund a solution, and provide training and technology to interested parties willing to make telemedicine and healing a reality in the Caribbean and beyond. Mr. Harnett performed two live presentations sending his physiologic parameters via Iridium (Low Earth Orbiting Satellites) from a Mini Mitter VitalSense unit. The software, designed by MITAC, packaged the data (20 samples per minute) as XML and automatically encrypted and forwarded the packets using Java. He successfully collected over 2500 data points during two demonstrations with data rates of less than 2400bps. MITAC is a NASA Commerical Space Center under a cooperative agreement between NASA and Virginia Commonwealth University (VCU). A new cooperative agreement became effective November 1, 2002. This cooperative agreement is funded annually and will be in place through 2007. On October 20-24, 2002, MITAC representatives Dr. Ronald Merrell, Mr. Charles Doarn, and Dr. Lucian Panait traveled to Romania. The purpose of this visit was to explore possible collaborations and solidify existing ones in the areas of telemedicine, telehealth, and distance education. The MITAC team visited three cities in Romania: Bucharest, Craiova and Constanta. In Bucharest, the MITAC team met with Dr. Irinel Popescu and his staff from the Fundeni Clinical Institute. They discussed the objectives of the current collaborations between the MITAC, the VCU Department of Surgery and the Fundeni Clinic. Discussions were also held on transmitting live surgery clinics every week and participation in the VCU's Surgery Grand Rounds. The concept of Romanian Telemedicine Association within the Romanian Academy and the American Telemedicine Association was discussed. Dr. Merrell and Mr. Doarn gave lectures for medical students and faculty on Surgical Robotics and Principles of Telemedicine, respectively. They were well received and were followed by a press conference of Romanian national press. Dr. Merrell and Dr. Panait traveled to Constanta on October 22, where they were welcomed by Dr. Vasile Sarbu, the Dean of the Faculty of Medicine and Pharmacy of "Ovidius" University of Constanta. They explored common areas of interest, including the use of telemedicine to provide healthcare in remote locations of the delta of the Danube River, establishing a Center of Excellence in surgical training and telemedicine, transmission of VCU's Department of Surgery Grand Rounds in real time, and participation in a project on maritime telemedicine on the Black Sea. Dr. Merrell also gave a lecture on Surgical Robotics. Mr. Doarn visited Craiova, were he met with Dr. Ion Georgescu, the Dean of the University of Medicine and Pharmacy, and his collaborators. The purpose of the visit was to assess the readiness of the University's management and technical team to support the NATO infrastructure grant that Mr. Doarn will serve as the project director for. 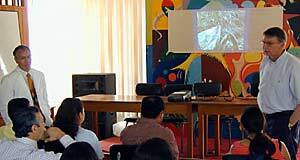 He also gave a lecture for medical students and faculty on Principles of Telemedicine. On October 14, 2002, the MITAC Board of Directors met by telephone conference. Dr. Merrell, Director, presented the plans for the coming year. Mr. Doarn, Executive Director, presented a review of the past year's activities, the 2002-2003 Business and Operating Plan, and the status of partnership affiliation and future growth. In addition, Dr. Yves Lussier from Columbia University gave a detailed status report on VigiLens�. The Board provided feedback and endorsed the MITAC plans for the coming year. MITAC representatives Dr. Ronald Merrell and Mr. Brett Harnett traveled to Prishtina, Kosova to attend the First Intensive Balkan Telemedicine Seminar "Telemedicine and Telehealth in Developing Countries: From Inception to Implementation. The Future Has Just Begun." October 23 - 29, 2002. The seminar was coordinated by the Kosovo Foundation for Medical Development. The seminar also provided an opportunity for the Opening of the Telemedicine Center at the School of Medicine in Prishtina. The conference was very well attended by professionals from over 30 countries including soldiers from the U.S. Army, KFOR, the Kosova Liberation Army (KLA), the United Nations, as well as local clinicians, students, administrators and technicians. Leading international authorities in the field of Telemedicine and Telehealth presented at this intensive two and half-day seminar. Dr. Merrell gave three presentations. World-renowned scholars and industry experts addressed the many facets involved in transforming healthcare in developing countries. Topics included aspects on the building and establishing of sustainable telemedicine programs, problems and solutions of clinical applications of telemedicine, distance learning, continuous medical education, and telesurgery. Additional topics included telemedicine applications in home health care, prisons, and trauma and disaster response. The two and a half day schedule was filled with approximately 40 presentations from 30 speakers. In concert with the conference was the tour of the Telemedicine Center of Kosova located on the fifth floor of the university hospital. MITAC and OrbitalMed provided information and design details for the development of this center. The International Society for Telemedicine (ISfT) held the 7th International Conference on the Medical Aspects of Telemedicine: Integration of Health Telematics into Medical Practice in Regensburg, Germany, September 22-25, 2002. Dr. Ronald C. Merrell, Mr. Charles R Doarn, and Dr. Rifat Latifi represented MITAC at the conference. Each gave presentations on MITAC work and served as panel chairs. The MITAC team members also served on the Scientific Committee. The meeting provided a forum for exchange of ideas for collaboration. Discussions were held with Vitel Net and American Medical Devices regarding industrial affiliations with MITAC. 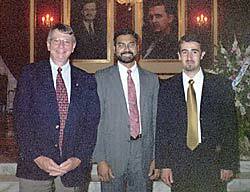 MITAC representatives Dr. Ronald Merrell, Dr. Azhar Rafiq, and Dr. Hatem Halabi visited the American University of Beirut (AUB)August 23-28, 2002. The purpose of the visit was to meet with Dr. Costas, Dean of the AUB School of Medicine and Dr. Freiha, Chairman, Dept of Surgery to discuss ongoing collaboration between AUB and MITAC in the areas of telemedicine, distance learning, and surgical education. The MITAC team discussed the opportunity to have the MITAC telemedicine course translated into Arabic and have Dr. Halabi mentor AUB students in telemedicine using this course material. The group also discussed access to VCU's Surgery Grand Rounds in both real time and store-and-forward. The MITAC team also assessed the status of laboratory and office space for Dr. Halabi. Dr. Costas was extremely interested in the mutually beneficial bilateral collaboration between AUB and MITAC. Dr Hatem Halabi is present in AUB to support the overall project through June 2003. Returning to Ecuador June 15-21, 2002, MITAC personnel continued work to further validate use of the RDTU and TeleVital software for the purpose of remote vital signs monitoring during surgical procedures. Ronald Merrell, M.D., Stephen Cone, M.D., Mr. Russell Hummel, Mr. Gerald Quirk, and Patricio Escandon, M.D., in collaboration with the Cinterandes Foundation, performed seven surgical cases in the Foundation's Mobile Surgical Facility. During the long day of surgery, the team was successfully able to transmit vital signs data for five of the seven cases back to MITAC lab facilities in VCU, where Lynne Gehr, M.D. monitored remotely. Dr. Merrell and Dr. Rodas (of Cinterandes) returned to the remote river communities of the deep Amazon basin to further study the feasibility of a waterborne Mobile Surgical Unit. Mr. Charles Doarn, Executive Director of MITAC and Dr. Vladimir Lavrentyev attended the XII Conference on Space Biology and Aerospace Medicine, held in Moscow, Russia, June 10 - 14, 2002. The conference was held at the Russian Academy of Sciences. Mr. Doarn gave a presentation, entitled "Validation of Telemedicine Technologies: Ground-Based Testbeds, Analogs for Space Flight". In addition, Mr. Doarn met with Dr. Vsevold A. Tkachuk, Dean of the Faculty of Fundamental Medicine at M. V. Lomonosov Moscow State University. Dr. Vasili Loginov, Deputy Dean for International Affairs with the Space Biomedical Center (SBC) also attended the meeting. The purpose of the meeting was to discuss collaborative activities in telemedicine and distance learning. Discussions were also held with Dr. Oleg Orlov, Deneral Director of the SBC and Dr. Yuri Revyakin. The focus of the discussion was the preparation and publication of several manuscripts on telemedicine activities as well as continued collaboration on web-based telemedicine software and distance learning. Discussions were also held with Dr. Eugeny Flerov at the National Research Center of Surgery of the RAMS reagarding collaboration in telemedicine as it relates to the collection of anesthesia data using the Internet. MITAC was well represented at the first United Kingdom E-Health Association meeting recently held in Cardiff, Wales, United Kingdom. Mr. Charles Doarn, MITAC Executive Director was invited to give a keynote address at the meeting held on June 10-12, 2002. The UK E-Health Association sponsored Mr. Doarn, who gave a presentation entitled "Health Care Delivery in Space Flight". The meeting was well attended with over 200 participants. © 2003 MITAC. All rights reserved.